As refugees, migrants and asylum seekers continue to die in the Mediterranean Sea, international medical humanitarian organisation Médecins Sans Frontières/Doctors Without Borders (MSF) and its partner SOS Méditerranée have been forced to terminate operations by the search and rescue vessel Aquarius. Over the past two months, with people continuing to flee by sea along the world’s deadliest migration route, the Aquarius has remained in port, unable to carry out its humanitarian work. This is the result of a sustained campaign, spearheaded by the Italian government and backed by other European states, to delegitimise, slander and obstruct aid organisations providing assistance to vulnerable people. Coupled with the EU’s ill-conceived external policies on migration, this campaign has undermined international law and humanitarian principles. With no immediate solution to these attacks, MSF and SOS Méditerranée have no choice but to end operations by the Aquarius. “This is an awfully dark day,” says Sam Taylor, Director of MSF Ireland. Over the past 18 months, the attacks by EU states on humanitarian search and rescue operations have drawn on tactics used in some of the world’s most repressive states. Despite working in full compliance with authorities, the Aquarius was twice stripped of its registration earlier this year and now faces allegations of criminal activity – allegations which are patently absurd. Amidst these smear campaigns and manoeuvres to undermine international law, people rescued at sea have been denied access to safe ports, refused assistance from other ships and left stranded at sea for weeks at a time. The forced end to the Aquarius’ operations happens at a critical time. An estimated 2,133 people have died in the Mediterranean in 2018, with departures from Libya accounting for the overwhelming majority of deaths. European member states have fuelled the suffering by enabling the Libyan coastguard to intercept more than 14,000 people at sea this year and forcibly return them to Libya. This is in clear violation of international law. In 2015, Europe made a commitment to the UN Security Council that nobody rescued at sea would be forced to return to Libya. The search and rescue vessel Aquarius. “I’ve seen with my own eyes men, women and children pulled from the sea who would otherwise have drowned”, said Aoife Ní Mhurchú, who spent several months on board Aquarius. “European governments have undermined international law and used fear and xenophobia in their relentless campaign to prevent us from saving lives. “The sad reality is that some European leaders are content to let people drown, just so long as they don’t reach our shores. The lack of compassion is staggering”. 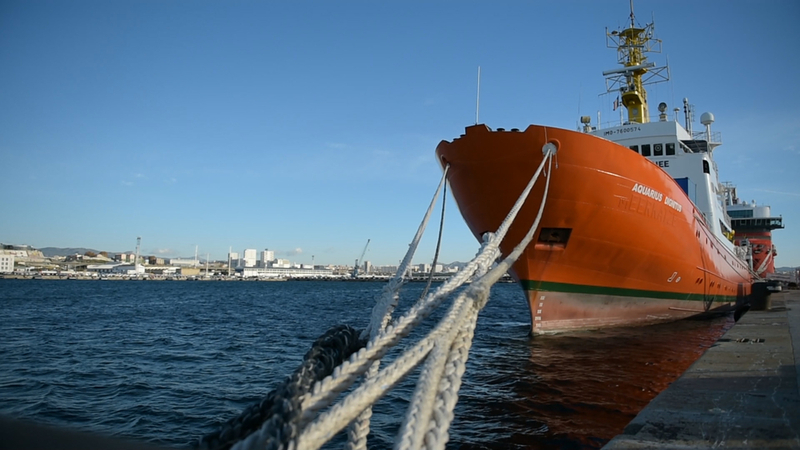 Since the start of its search and rescue mission in February 2016, the Aquarius has assisted nearly 30,000 people in international waters between Libya, Italy and Malta. 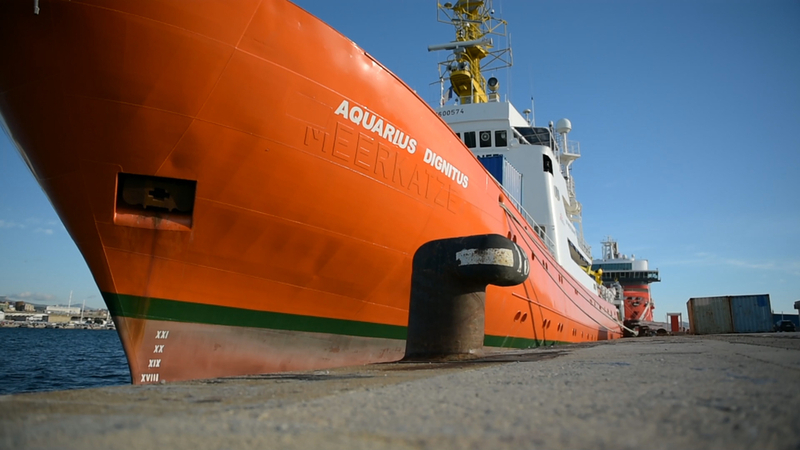 The Aquarius’ last active period of search and rescue ended on 4 October 2018, when it arrived in the port of Marseille following the rescue of 58 people. Together with MSF’s previous search and rescue vessels – the Bourbon Argos, Dignity, Prudence and Phoenix – MSF has rescued or assisted more than 80,000 people in the Mediterranean Sea since 2015. Despite recent efforts of other NGOs at sea, today there are no dedicated rescue boats operating in the Central Mediterranean. “As long as people are drowning and trapped in Libya, MSF remains committed to finding ways to provide them with medical and humanitarian care,” says Sam Taylor.